Nordstrom‘s second-quarter results beat on both the top and bottom lines, sending shares up more than 11%. “We expect 2Q will be the strongest quarter in 2018,” analysts from Morgan Stanley said. Morgan Stanley raised its price target to $US47 – 11% below where shares settled Thursday. 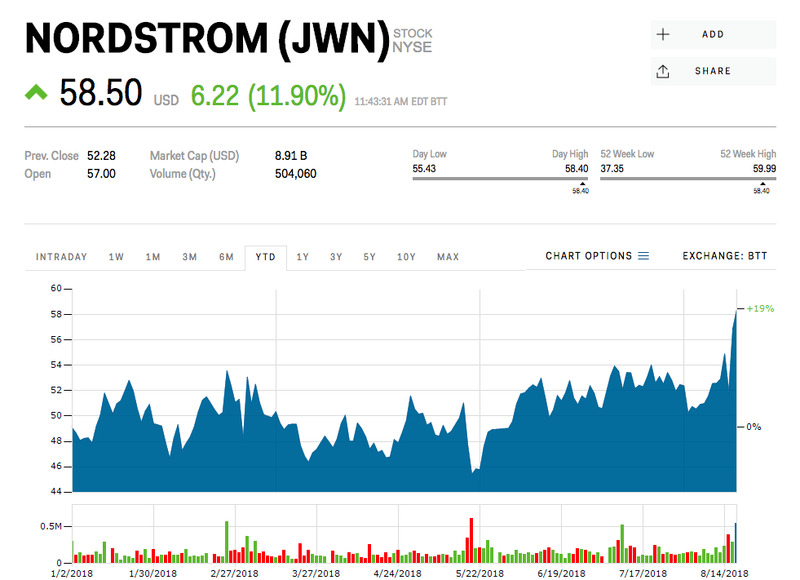 Watch Nordstrom’s stock price in real-time here. 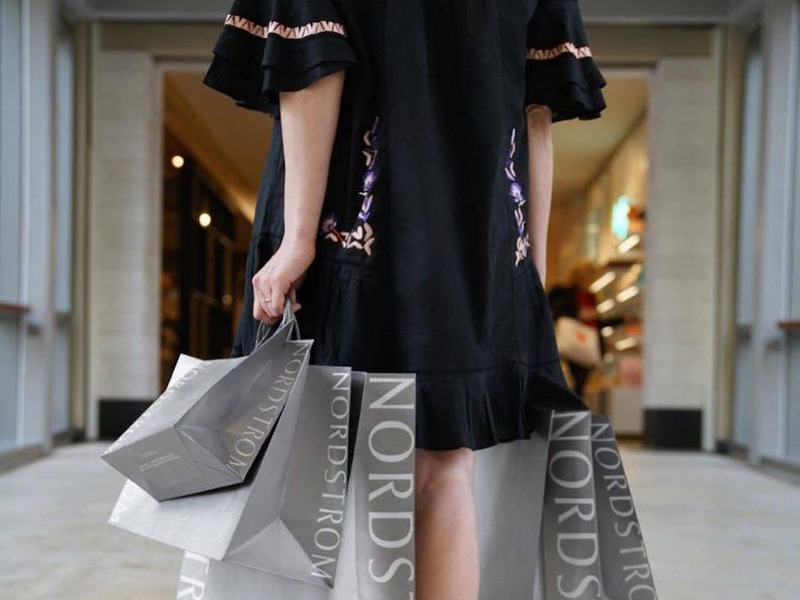 Morgan Stanley says the second quarter was as good as it gets for Nordstrom this year. On Thursday, the retailer reported second-quarter results that topped Wall Street estimates on both the top and bottom lines. It earned an adjusted $US0.95 a share on revenue of $US4.07 billion, easily beating the $US0.85 and $US3.96 billion that Wall Street analysts surveyed by Bloomberg were expecting. Nordstrom also raised both its full-year adjusted earnings guidance and revenue guidance. The retailer now sees full-year earnings of between $US3.50 and $US3.65 a share and full-year revenue of $US15.4-$US15.5 billion. Shares are trading up more than 11% on Friday – to their best level since December 2016. Still, Morgan Stanley’s underweight on the stock, raising its price target to $US47, 11% below where shares closed on Thursday. “We expect 2Q will be the strongest quarter in 2018 and remain UW,” analysts from Morgan Stanley wrote in a note sent out to clients on Friday. After crunching the numbers, Morgan Stanley says it has a new full-year earnings estimate of $US3.51 (vs. $US3.35 prior), which raises the following years by $US0.20 apiece. That gives them earnings of $US3.50 a share in 2019 and $US3.80 a share in 2020-2022, versus their previous estimates of $US3.30 and $US3.60 respectively. Shares of Nordstrom were up 11% this year through Thursday.